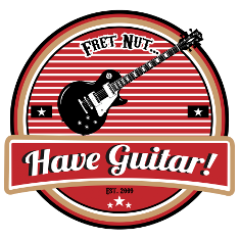 Have Guitar Covers Archives - Fret nut... Have Guitar! Just a cover of Motörheads Ace of Spades, that’s it. No claims that this would in any way be better than the original, it’s just a tribute that I recorded with sorrow in my heart just a couple of days after Lemmy left us. For me, Motörhead peaked with Overkill, Bomber, Ace of Spades and Overkill – it’s just the golden era for me. Loved’em from the first day I heard them and still do. Recorded and mixed at The Shrine of Distortion studio. If you like this video there’s plenty more than covers on the Have Guitar Youtube channel – subscribe right now and support the channel. I try to add new guitar related videos every week! OK, so here’s a cover from Have Guitar! – Shout it out loud, from the KISS-album Destroyer. This cover has a long story, started recording it in 2009 and obviously it took me seven years to finish it. Well, there’s been a lot going on during these years that has occupied my time but now it is finally here – released on the last day of 2016 – happy new year to y’all! Thanks to all of you who have been watching, commenting, liking and subscribing to my channel – it’s been a real inspiration to pick up the guitar again after not spending much time playing for several years… so thanks again! This recording is dedicated to Burnie. Bob Ezrin took the job on a recommendation from a teenager, who thought KISS was the next big thing. Nowadays, the band holds the Destroyer album high but back in the day they all felt it was a step in totally wrong direction. Shout it out loud peaked at postion 31 on the Billboard but went all the way to #1 on the Canadian singles charts. The single version of the song is 12 seconds shorter than the studio version. Recorded at various places, mixed at The Shrine of Distortion.